I raised the issue of Iran's illicit activity in recent testimony before the House Committee on Foreign Affairs last week. The committee's hearing examined Iran's role as the world's leading state-sponsor of terror, and how the Islamist state will not end its global ambitions despite any assurances given to the West. 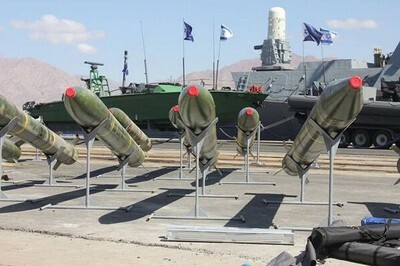 Just this week Israel displayed dozens of rockets, hundreds of thousands of bullets and nearly 200 mortar rounds from an intercepted Iranian shipment bound for terrorists in Gaza. The cache shows the "true face of Iran," officials say. 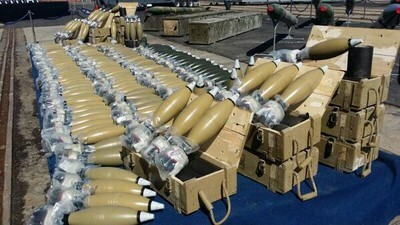 Israeli commandos seized control of the cargo ship as it carried dozens of medium range rockets between Syria and Iran. The ship carried Syrian-made M-302 rockets with a range of up to 200 kilometers – or about 125 miles, Israel Defense Forces (IDF) say. They would have been capable of reaching nearly all of Israel had they reached Gaza. IDF says that the mortar rounds were made in Iran. "Nobody has the right to ignore the true and murderous actions of the regime in Tehran," Prime Minister Benjamin Netanyahu said. "I think that it would be proper for the international community to refer to Iran's true policy, not its propaganda." Iran has flatly denied any involvement with the shipment, but Netanyahu accused it of "brazenly lying." The Israeli ship raid closely follows an Iranian-backed weapons transfer that was destroyed in an air raid. Those rockets were destined for Hizballah terrorists in Lebanon. Iran, whose leaders openly admit that their dream is to destroy Israel, is trying to surround the Jewish state with rockets capable of hitting its population centers. An Israeli government official said the ship bound for Gaza reminds the world of the true nature of the Iranian regime. "Iran with a nuclear weapon is not just another country with a nuclear weapon," the official said. "It is the difference between Pakistan with its current government in possession of a bomb, and Pakistan ruled by the Taliban in possession of a bomb. This is an extremist regime, and the terrorism it supports is just one manifestation of that extremism. How many countries on the planet send weapons to terrorist organizations?" In his address to the press, Netanyahu said that in confiscating the shipment, "we have exposed the truth behind Iran's fake smiles." The interception of its Gaza-bound ship is only an indication of much broader and secretive terror programs, against which evidence continues to pile up. The same Hizballah terrorists bent on destroying Israel are also, under Iran's direct orders, providing vital support in the effort to prop up Syrian dictator Bashar al-Assad as he ruthlessly suppresses an uprising against his rule. Iran provides Assad with weapons, funds, strategic advice, intelligence and cyber-tracking, military training, propaganda support and economic aid. In addition to its support of terror and its role in Syria, Iran's ability to harm the West and its allies extends well beyond the reach of Israel. As my testimony demonstrated, the Islamic Republic is a rapidly emerging force in cyber terror. Cyberspace is the new battlefield, and it is an especially difficult environment. Cyber is hard to detect. It is difficult to identify attackers. It can result in significant damage. It can reach globally and cross borders effortlessly. Iran's cyber warfare program is sophisticated enough to have carried out attacks on major U.S. banks, including J.P. Morgan and Bank of America; major Persian Gulf oil companies, including the Saudi Arabian state-owned oil company, ARAMCO, and Qatar's natural gas producer Rasgas; and cyber attacks penetrated into an unclassified U.S. Navy computer network that reportedly took four months to resolve. Iran also claims to have used cyber capabilities to take control of a U.S. drone and capture it. Only a few years ago most experts rated Iran at tier two or tier three cyber capabilities. Today many are surprised and believe that Iran has dramatically closed the gap and ranks closely behind tier one cyber powers such as the U.S., Russia, China and Israel. They are not only surprised, but they are perplexed at how Iran could have made up so much ground so quickly. Finally, ripple effects from Russia's recent aggression in Ukraine provide the Islamic Republic a significant amount of time to expand its terror network and advance its nuclear weapons and cyber warfare programs. Russia always had very few reasons to support the West in enforcing sanctions as a means to persuade Iran to halt its nuclear weapons program. It now has no reason to support the coalition given its aggression in Ukraine against strong Western opposition. Talks over Iran's nuclear program will likely fall apart, and sanctions will not be re-imposed. Sanctions were the only pressure the West had to change Iran's behavior. Without them, Iran has nothing holding it back. Russia will also continue to support Iran's aspirations of having a world class cyber warfare capability, and it will continue, along with Iran, to supply weapons and other support in Syria. Russia's invasion of Ukraine over strong Western opposition ensures a much closer relationship with the Islamic Republic. It has moved from "if" to "how far and how fast" the relationship will grow. Russia and Iran, which both have global ambitions, have much to gain from more significant cooperation. We at the Investigative Project on Terrorism are very concerned about the future capabilities of the Iranian theocracy in the context of its very dark past and present. Iran's support of Islamist terror groups, its role in Syria, its cyber warfare capabilities and a closer relationship with Russia will radically change the national security calculus for the U.S. and its allies. We always need to keep in mind that Iran is a ruthless killing machine that flagrantly and routinely mocks international laws and norms. Can we really expect Iran to fulfill any of its unenforceable commitments reached during the ongoing negotiations over its nuclear program, especially keeping in mind that to this day it has never really been held accountable for its actions? Start with 2 cliches: It's the economy stupid and All politics is local. The administration has not explained the economic consequences of a nuclear Iran. Iran will then have the leverage to dictate all sorts of polices in the Middle East and beyond. With nukes the price of oil goes way up. This price of oil effects the US and world economy and the price of everything. Until we get solar powered buses and cars we will need oil. Regardless of sanctions; Iran will find ways around them and reap the benefit of higher oil prices to support its terrorist agenda. Perhaps the public understands terrorism but not how a nuclear Iran will effect the price of gas and the job market. Since elected in 08 certain of Obama's actions and related statements he's made, indicate that he is at least sympathetic to all things Muslim. Whether he is a closet Muslim or does not like America is irrelevant. He, and those in his inner circle, apparently believe that warming relations with arguably the worst Muslim terrorist nation on the planet, Iran, and distancing America and the west from the only truly peace loving, modern, civilized, democratic nation in the Middle East, Israel, will lead to world peace, love and kumbaya. That there is much skepticism, concern, hand wringing and criticism, from those he considers his inferiors, likely bothers him not a bit. Intellectuals pride themselves and measure their success by the level of controversy surrounding their actions. In their inner circles the more controversy the better. It's a mark of distinction, intellectual acumen and superiority. Those he's dealing with on the international stage are not impressed by his intelligence but are impressed by the naiveté and the ease with which he and his adoring minions can be manipulated and, like predatory sharks, they are taking full advantage. Unless America reverses course, begins to flex its diminishing muscle and prestige and effectively confronts these growing and emboldened menaces to world peace there will be war. Perhaps nuclear war. MAD worked with the Russians who, like most, prefer life over death. It will not work with Jihadists, Muslim terrorists, who proudly proclaim that they do not give a wit for life, ours or theirs. Obama may believe he is embarked on a diplomatic quest with Iran that will result in a new détente that will lessen the chances of conflict and allow the United States to ease out of a strategic role in which it stands beside both Israel and moderate Arab states. But Iran has very different goals. The seizure of the arms shipment is a wake-up call for Washington. Sadly, Obama and Kerry are too besotted with their hopes for détente with Iran to listen to reason. The true nature of the regime in Tehran is not peaceful.